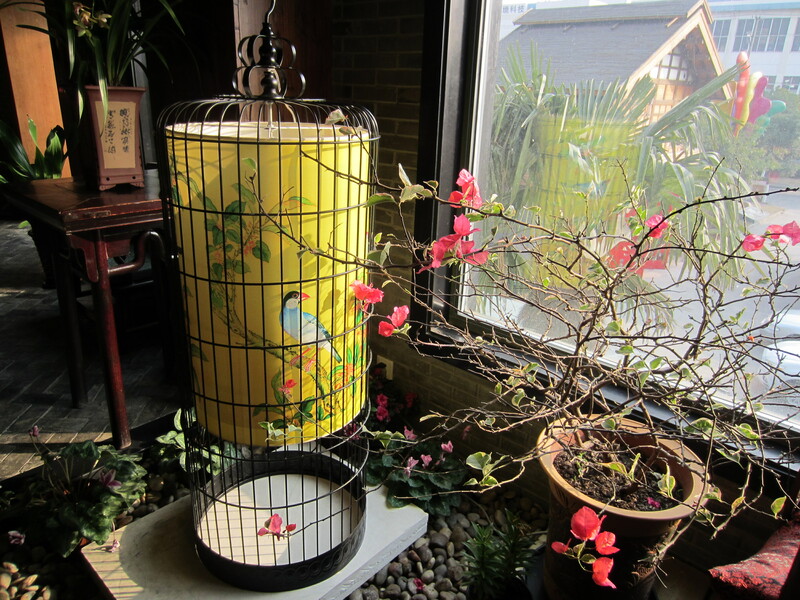 A beautiful sunny Sunday spent in a Shanghai suburban tea house. The friend who kindly gave me a ride even had a nice agarwood incense stick burned inside the car…amazing Shanghai. Then we had some tea and visited the pottery workshop and semi-eco system aquarium business unit belonged to the same owner. Love those aquariums! The bottom half looks like a typical aquarium and the top half above the aquarium is like a miniature rainforest in Japanese style. No need of changing the water or cleaning, but the fishes still need to be fed at least every few days. Otherwise, I’d definitely get one for myself. Then a huge lunch offered to the Guqin master whom I tagged along with. The key impact is that finally I started playing my qin again after nearly four months.